The bathroom is a room in the house where we tend to spend a significant portion of our time during the day. Since we are spending so much time out here it is important that the bathroom stays clean and organized. There is nothing more than we dread than having to clean the bathroom, further the more people that stay in the house the higher is the chance of the bathroom getting dirty. The bathroom is the place more bacteria can stay with the everyday moisture from the showering and the heavy traffic. 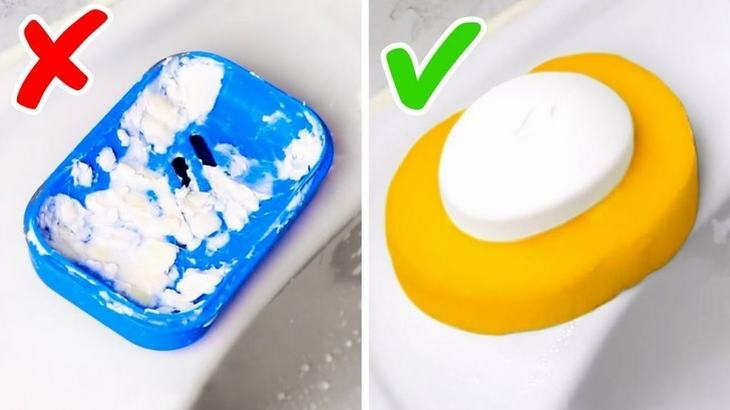 We have curated some amazing bathroom hacks which you can try to make your bathroom cleaner and much more functional in use. 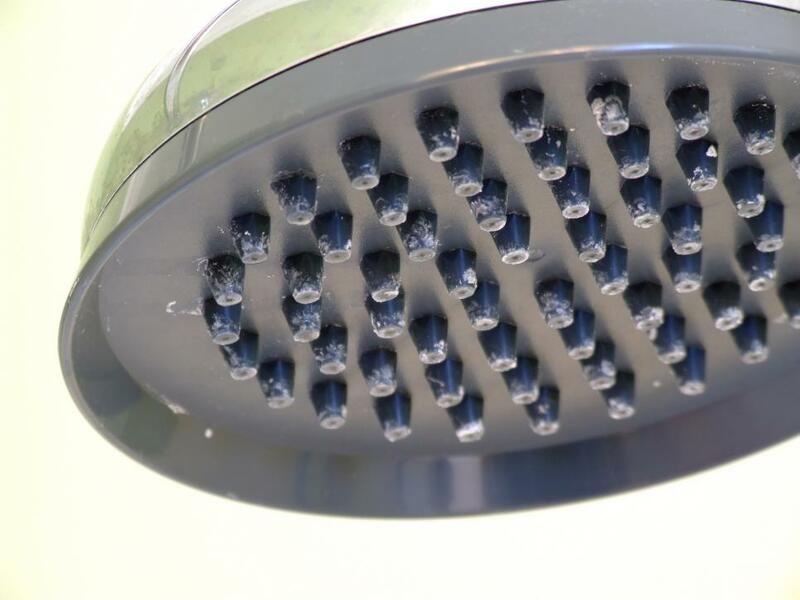 Today many showerheads come with low-pressure devices called reducers. This feature works perfectly when it comes to saving water as well as money. But it will render you with a low pressure of the flow of water. Another reason for the low pressure would be the use of hard water which leaves mineral deposits in the showerhead and restricts the flow of water. You can easily clean the showerhead by soaking it in vinegar which will loosen and help to easily remove the deposits. So immerse the showerhead in a plastic bag filled with vinegar and secure the bag with a rubber band and allow it to sit for at least an hour. 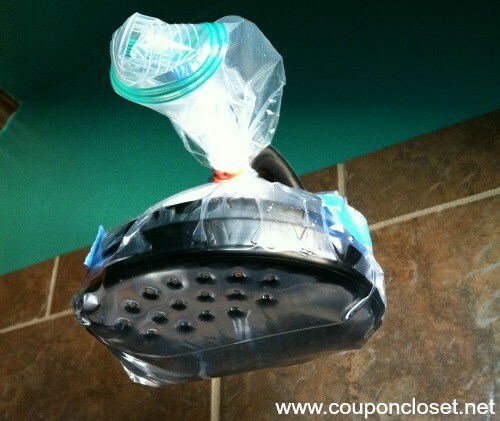 Once you remove the bag run the shower for a minute or two to give it a quick run wipe down to see the difference. #Tip: Boil the vinegar and then let it cool off to achieve the best results. You may wish to replace the faucets once it gets spoilt, but your budget may not always allow you to do so. 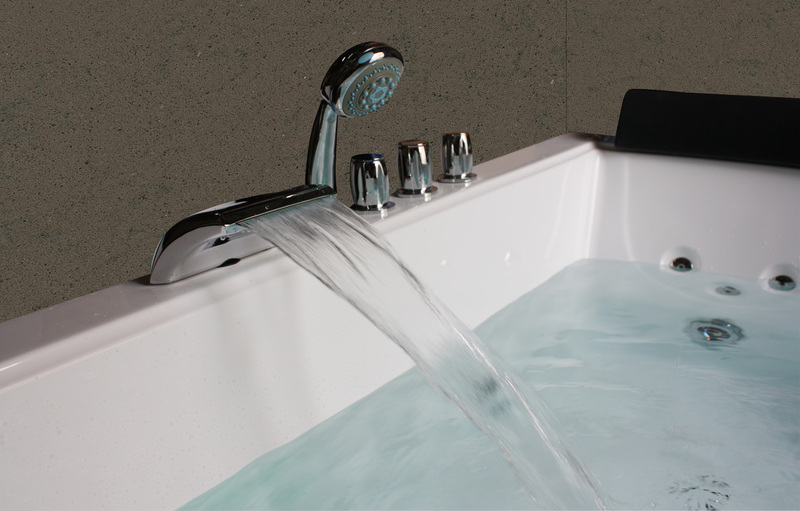 These funky faucets get disturbed due to the use from hard water deposits from a day or two. 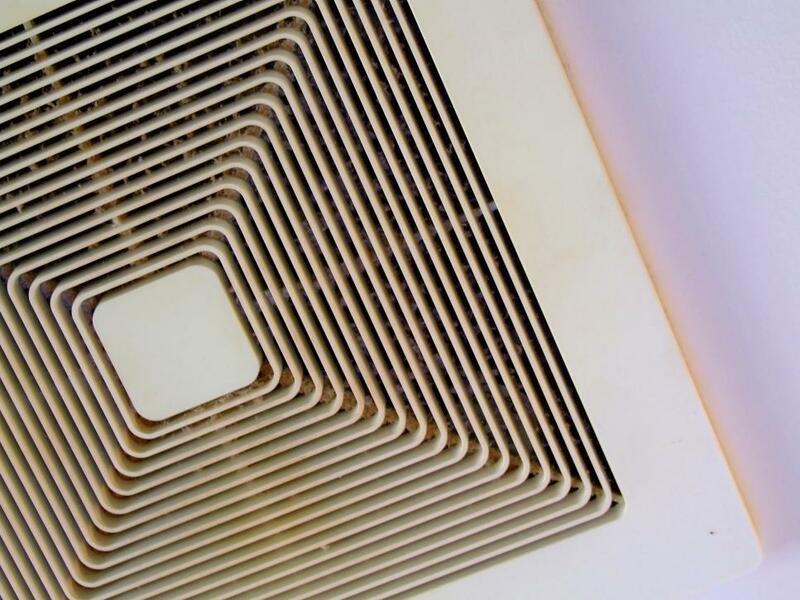 You can either pick up replacements for the same from the store or just adopt a simple measure for cleaning them. 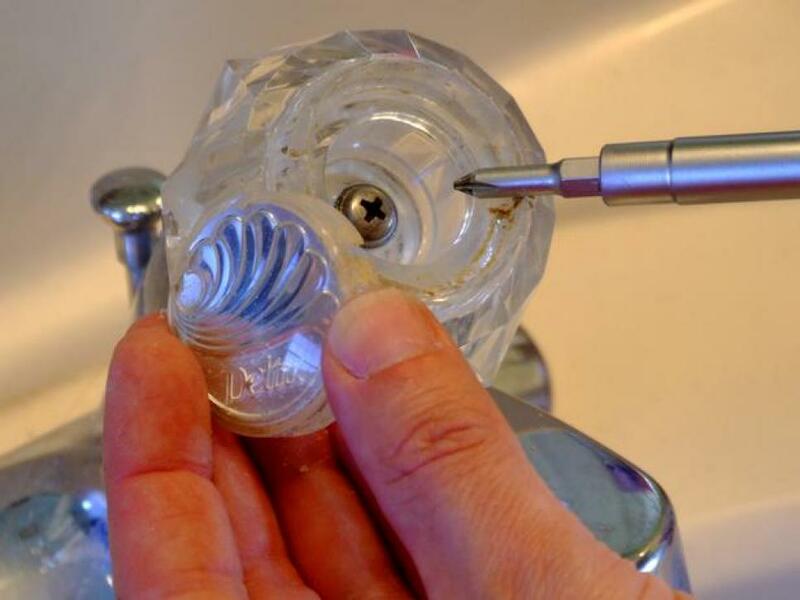 Just soak the faucet heads in some vinegar and then scrub it out with an old toothbrush. You will be surprised to find how the faucets now gleam and shine. It tends to happen that over time the dust gets built up in the fan slits and makes it work less efficiently and effectively. Test the strength of the fan by placing one square of a toilet paper on it to see how much air it is drawing in. If the fan is damaged beyond repair you may have to think of a replacement, however, if replacement is not an option then clean the fan thoroughly with a vacuum host fitted with a brush attachment. This will help to remove any unwanted blockage from the pipe. Want a clean and shiny bathtub? It’s simple. Just add one part vinegar to one part of dish soap in dish wand, seal it tight and you are ready to go. Slowly run the water in your bathtub and allow the liquid to get lightly coated and then you can start scrubbing away to your heart’s delight. If you want your toilet to always be clean and smell fresh, all you need to do is keep a jar of water near the toilet, and make a bunch of toilet bombs. 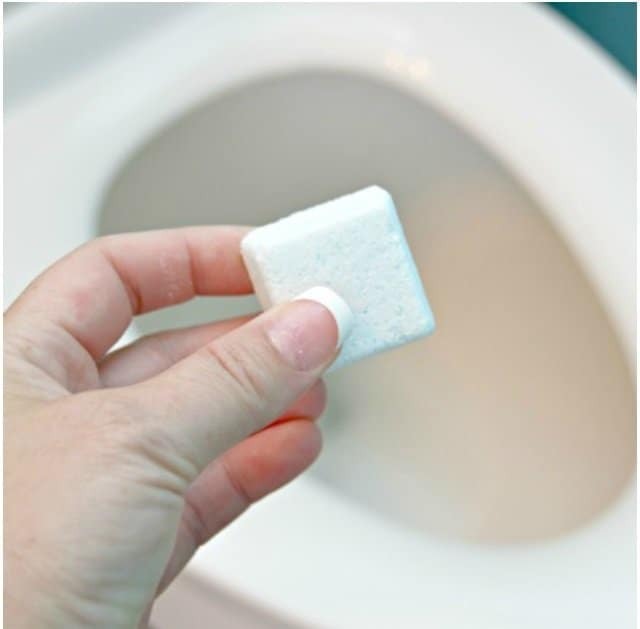 Throw in these toilet bombs in the toilet to clean and deodorize the toilet between cleanings. If your bathroom cabinets may look dingy but are yet in a functioning shape, don’t feel stuck in a limited budget. To clean them up there are kits available which include all primers and paint/epoxy layers, or you can simply sand, prime and paint using ordinary materials. To make the job easier, remove all the doors, drawers, hardware and work on these parts in a clean workspace away from the bathroom. 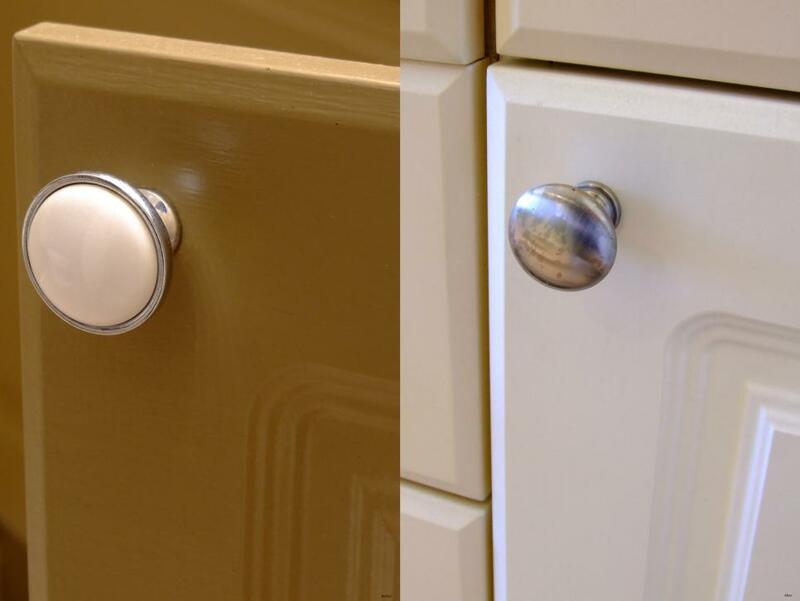 To add the finishing touches you can also pick out some new knobs and pulls. To keep the soap feeling clean and fresh adopt this simple technique of keeping the soap clean. Say goodbye to the soap dish which makes the residue of the soap stick to it making it difficult to clean later and use a sponge instead. A sponge will easily hold the residue of the soap and always leave the place looking clean and tidy. Towels are great when it comes to absorbing water. 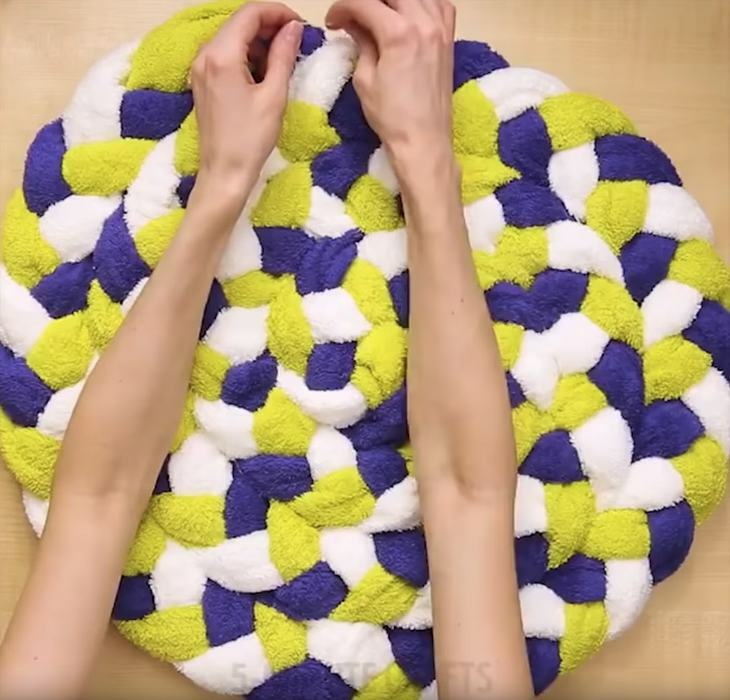 So don’t throw out the old towels but rather use them to create a beautiful bath rug. It is not very difficult to make and it will also look great and add to the aesthetics of the bathroom. 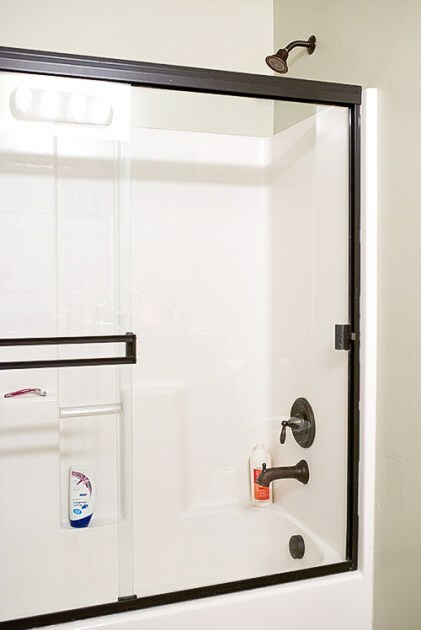 You can use some easy ways to approach your shower doors and make it look clean. However, the approach that you adopt will depend upon how much soap-scum has built up on your shower doors. For instance, if you are doing just some maintenance cleaning, in that case, there is not much soap scum and using worn out balled up pantyhose can do the job of clearing up the deposits on the shower door. However, if you are like most of the population and your shower doors haven’t seen a good squeegeeing in a while, then the Magic Eraser is your BEST friend. #Tip: You can use this hack for not only cleaning the shower doors but also for bathroom mirrors, chrome fixtures, and glass in general. 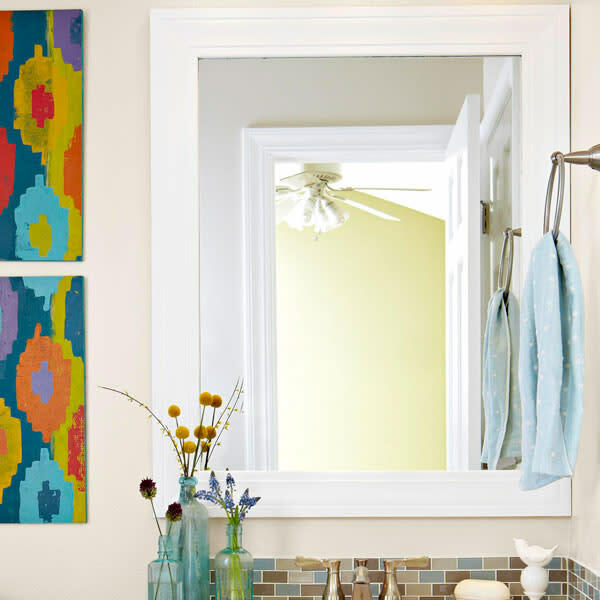 Change the look of your bathroom by redoing your mirror. A happy bathroom is something which combines both design and functionality. If you add a frame to your mirror it will make it look and feel more beautiful. You can also opt for molding or paint it any color you like to add some life to the bathroom. 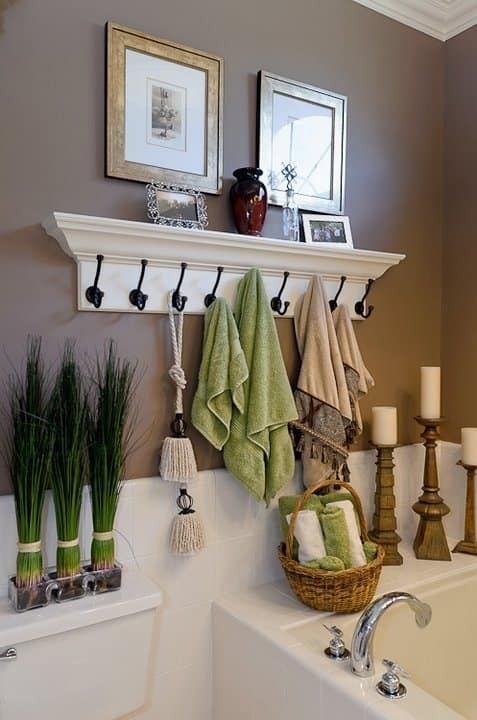 Nowadays many people live with a roommate, or if you have many people using the same bathroom, use the simple trick of adding a coat rack instead of a towel rod to keep things free of germs and organized. 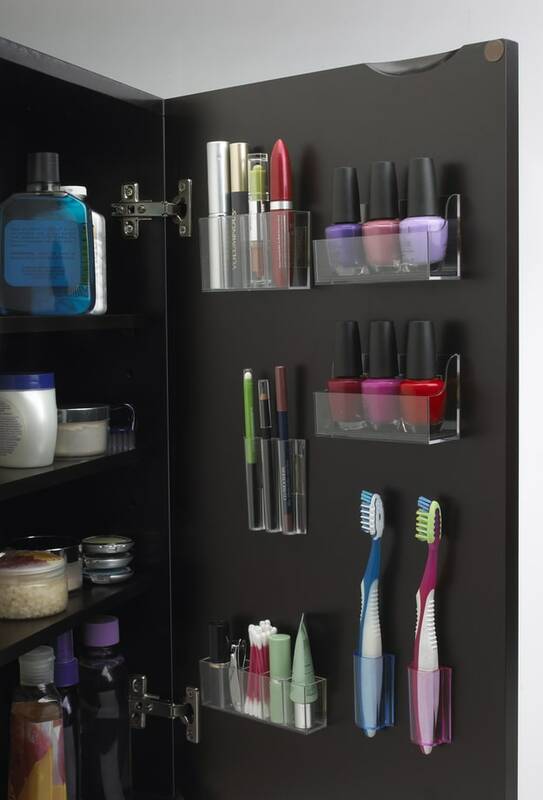 If you have just one cabinet in the bathroom and you need to make the most of the tiny space put on some stick on pods which will easily hold small and tiny things even like the nail polish. It gives you the advantage of reaching the stuff from the back as easily as from the front. 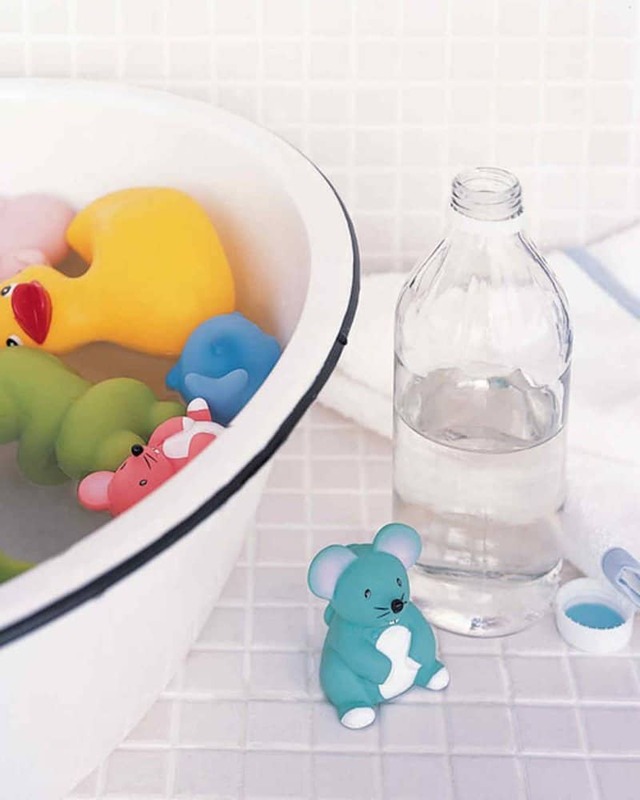 Children love their bath time, especially if they get to play around with some bath toys. However, it is necessary to clean the bath toys from time to time to avoid any accumulation of germs for the safety and well-being of the child. Especially if you are not buying new toys you need to make sure that the existing bath toys are clean. Add some vinegar to the water and allow the bath toys to soak for a considerable amount of time to remove all the dirt from them. Pins- they always seem to be getting lost in places where we can never find them. Especially when you need it the most, it is nowhere to be found. Don’t worry, we have found a solution to this problem. 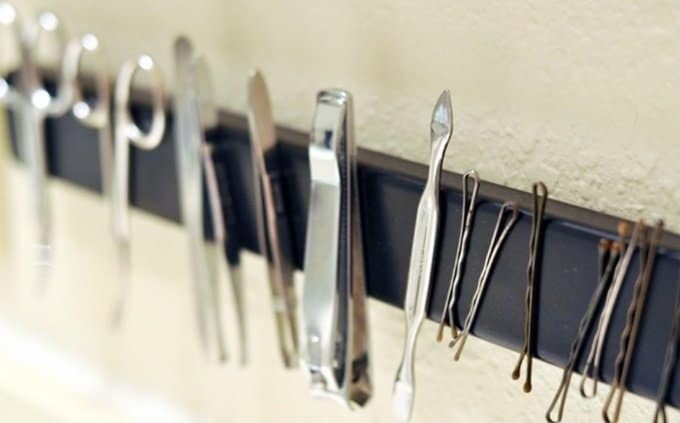 Simply add a magnetic strip in the bathroom to store all the pins and the other small products. It is also useful for small and essential items which can be handy in use like a small scissor or a plucker or a nail cutter. If you are someone who enjoys taking your phone or tableting in the washroom when you shower, we have the perfect hack for you. 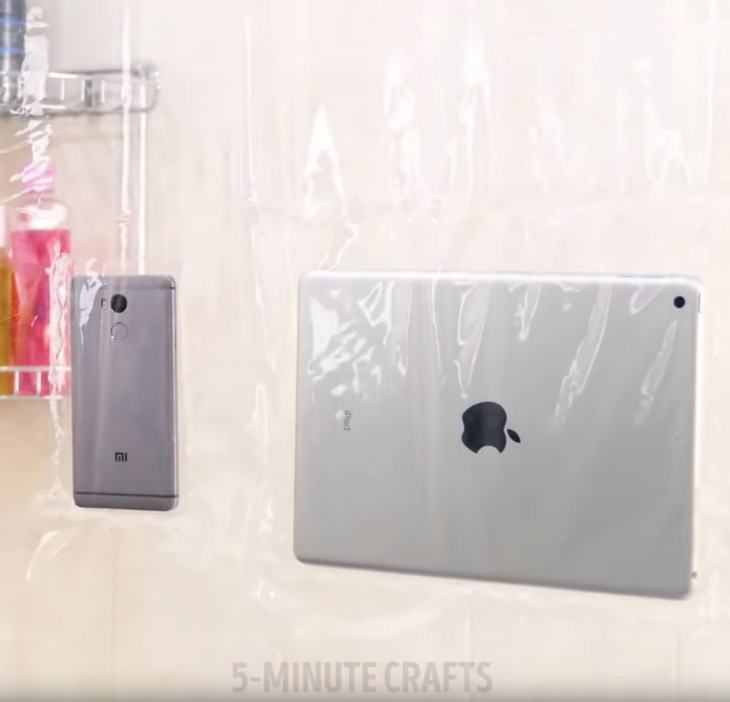 Use a clean and clear shower curtain and attach some pockets on the same to keep your phone and tablet safe. 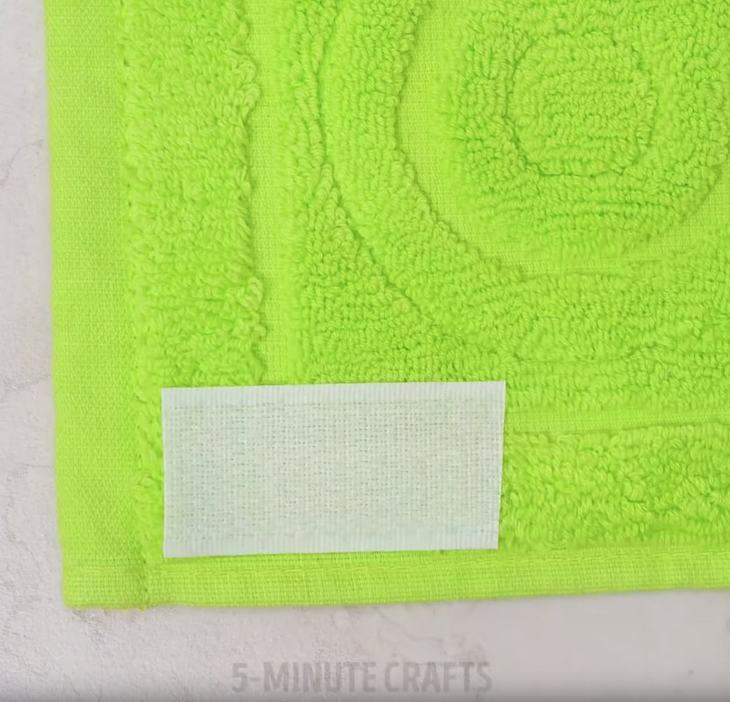 If you have a bathroom rug that always moves when you use it, use this simple hack to prevent any hazardous situation created from tripping or slipping on the same. Simply use a hook and loop tape. Just glue one part of the tape to the floor and one part to the rug to prevent the rug from sliding. A towel is a bathroom essential which is the most in use. So there are chances of it catching germs and becoming wet and smelly if not cleaned properly and regularly. 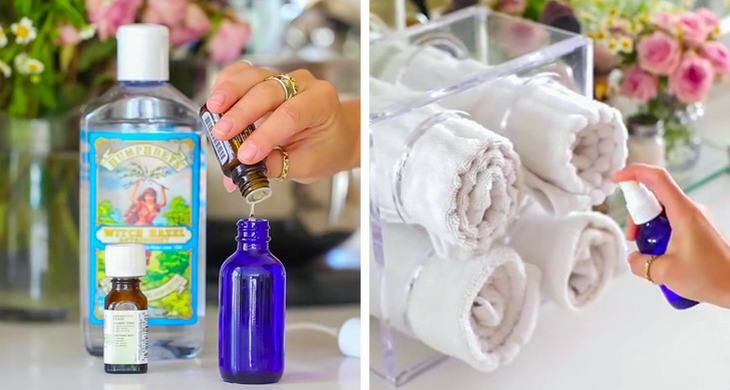 So, to allow those towels to smell fresh every day and to get a clean wipe down by spraying a mixture of water with some essential oils that you love. 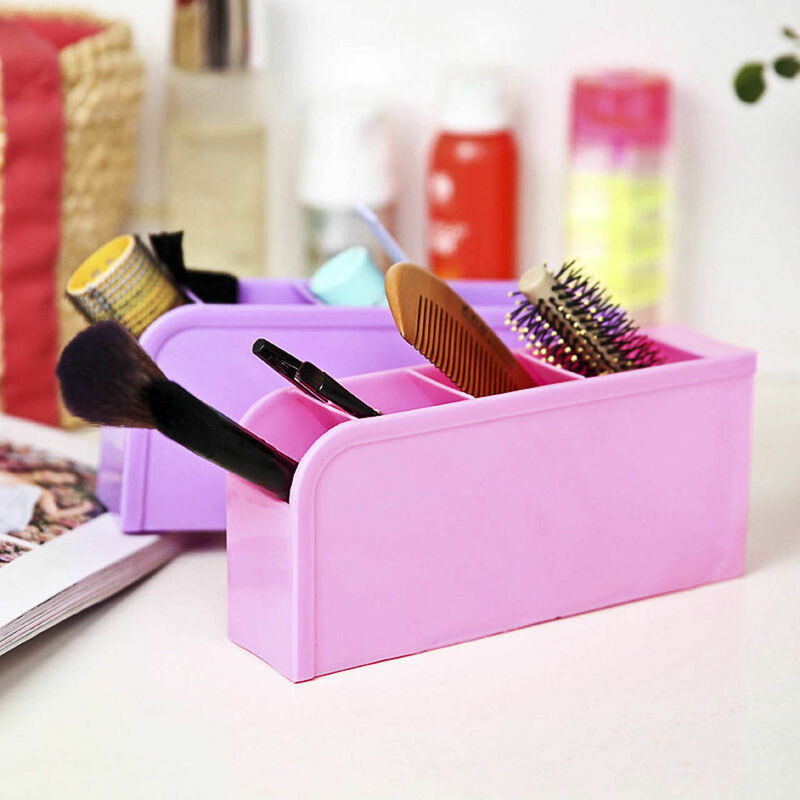 Using some plastic cutlery is an effective hack to keep all your cosmetic items clean and organized. Further, it is a useful hack especially if you have a small bathroom or are short on storage space in the bathroom. #Tip: You can also get trays in different colors and sizes to add a splash of color to your bathroom. So use these simple yet effective hacks to make your bathroom cleaner and much more functional.